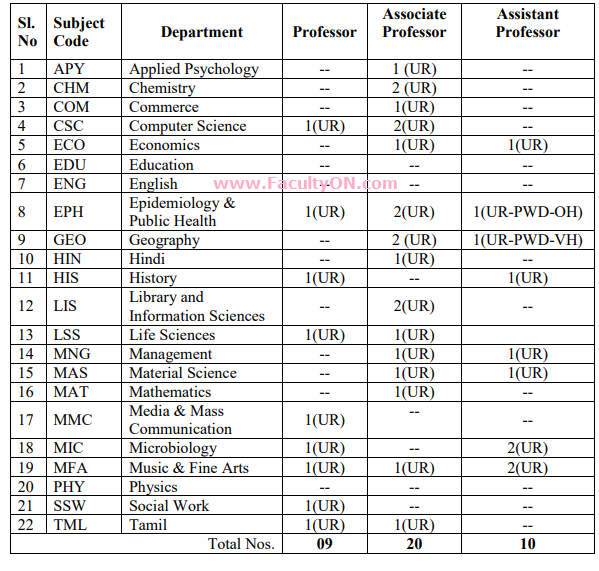 Central University of Tamil Nadu, Thiruvarur has advertised for the recruitment of Professor / Associate Professor / Assistant Professor jobs vacancies. Interested and eligible job aspirants are requested to apply on or before 30th July 2018. Check out further more details below. 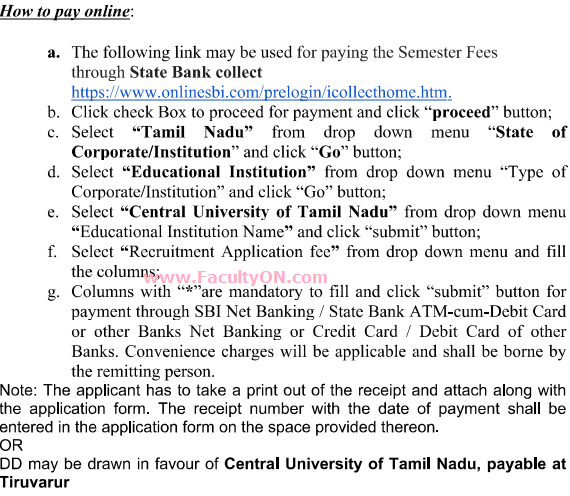 How to Apply: Interested and eligible candidates are requested to submit applications along with application fee and documents to “The Assistant Registrar, Recruitment cell, Central University of Tamil Nadu, Neelakudi Campus, Thiruvarur – 610 005, Tamil Nadu” on or before 30.07.2018. Those who have already applied for the above posts need not apply again. However, update, if any, may be sent separately referring to Advertisement No., Name of the applicant, Name of the post applied, Department. The number of posts may change on to the discretion / decision of the University at any point of time.